This is a one bedroom log cabin suite that tucks back in the woods from the swimming beach, only 71' from the water. Built prior to 1920, it offers privacy in a woodland setting. The main room is a great room in concept and is your cooking, dining and sitting area. The kitchen offers a gas range with oven, refrigerator/freezer, microwave and countertop dining area. 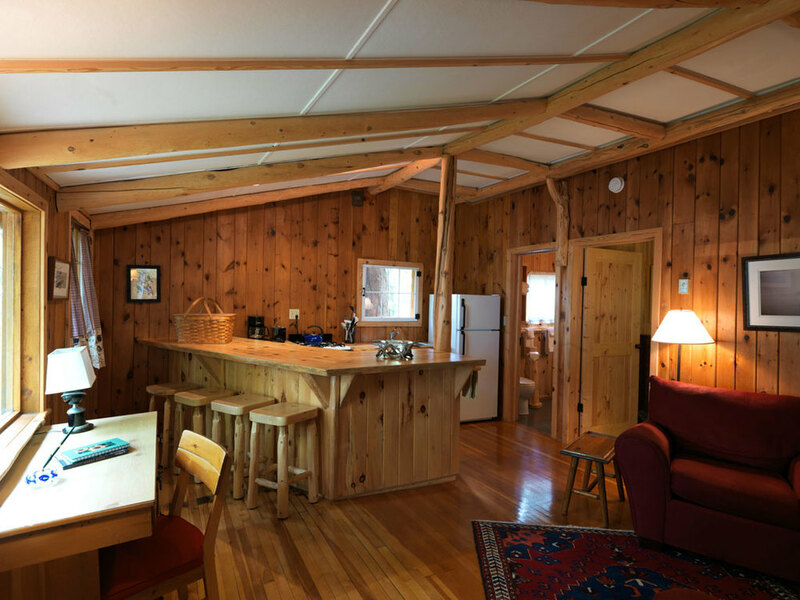 The cabin is equipped with basic dishes, coffeemaker, toaster, pots and pans, wine glasses and utensils. A wonderful gas stove gives the ambiance of a fireplace but is thermostatically controlled. The bedroom offers a queen bed and the bathroom has a shower. The exterior is vertical log construction, the interior is a combination of knotty pine and log with wood floors. 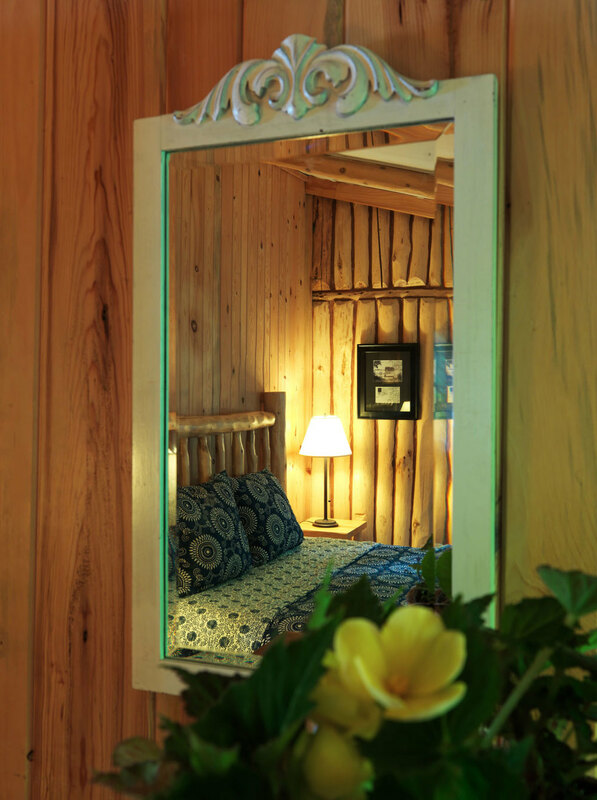 You will find comfort and north woods ambiance. A little deck is entrance to the cabin and offers a great place to smell the pines and look to the lake. The 2019 rate is $ 2 267.00 per week, when available by the day, $ 356.00, plus tax.